If PROMETHEUS Were A 50s B-Movie | Birth.Movies.Death. A clev er retro poster imagines Ridley Scott's latest as a rollicking space adventure. 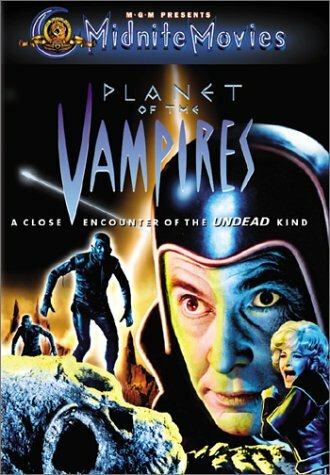 Ridley Scott's Prometheus plays a lot like a riff on or homage to Mario Bava's Planet of the Vampires (which was seen as being an influence on Alien, but Scott denied having seen it at the time. It seems that he has certainly seen it by now), so it's fitting that this fanmade retro poster reimagines Prometheus as a 50s or 60s drive in B-movie. This poster positions the film closer to its pulpy, gaudy roots - and sort of more accurately sells the movie. This poster has been making the rounds for a couple of days, but I've been traveling so I figured you guys wouldn't mind if I shared it late.